Dedication — We are committed to providing the industry with a superior automated testing solution. Excellence — We feel a deep sense of pride in what we do and strive to be the best in our industry. Integrity — We always try to do the right thing for our clients and staff. We are dedicated to being honest and straightforward in all of our interactions. Open — We enthusiastically embrace new ideas and are interested in listening to and learning from the experiences of our customers and partners. Passion — We are passionate about test automation and enjoy the discovery the comes from the development process. Respect — We do our very best to respect and appreciate our employees, our customers, our partners and our environment. Dave Laroche is our Chief Technical Officer. He is a pioneer in the field of automated testing. Dave developed ATF, one of the first automation tools, more than 20 yeas ago. He was a founder and Chief Architect of Segue Software, Inc., the original creators of QA Partner/SilkTest. Dave believes that no testing tool can be easy to use without a solid foundation. That’s why he is committed to providing AscentialTest’s universal agent with the most powerful object recognition engine in the industry. Brian Le Suer is our Chief Executive Officer. He has been working in the field of test automation for more than 30 years. Brian began as a QA Engineer using the testing tools available in the early 1980’s. He joined Segue Software in its infancy and served as the EVP of R&D during that company's golden years. Brian formed Star Quality, a consulting firm specializing in test automation in the late 90s. After 12 years of experience in the trenches, he’s excited to be building the next generation testing tool that will increase the productivity and and effectiveness of test and development teams. AscentialTest has been forming in the minds of our founders for several years. After building QA Partner/SilkTest at Segue Software in the 90s, they got the opportunity to use their product extensively in the field. As consultants implementing test automation with various tools for more than 10 years, they’ve formed a thorough assessment of the state of the field. What they found surprised them: automated tests were too expensive to build. Furthermore, the requirement for programming skills to move beyond the superficial tests that can be recorded left out too many members of the team. They also discovered that a large portion of test development time is spent ‘writing code’ to workaround object recognition deficiencies. Some users estimate that time to approach 80%. Clearly this explains why the decision to adopt automation is not always straightforward. With a fresh understanding of the challenges and our heads full of ideas, we’re energized and excited to bring about the next paradigm shift in test automation. 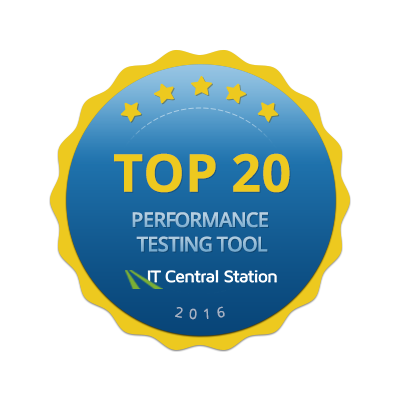 AscentialTest earned a top 5 position for software testing tools ranked by average customer rating with a score of 9 out of 10. Zeenyx Software has been recognized by CIO Review as one of the twenty most promosing software testing solution providers. Zeenyx Software has been recognized by Dr. Dobb’s Journal as a winner for the 2014 Jolt Award. “It is gratifying to receive this award, because we strive to provide a comprehensive testing solution that increases the productivity of testers and reduces the maintenance costs typically associated with ownership of manual and automated tests. The Jolt Award judges appreciated how our drag and drop approach reduces the level of effort and makes automated testing accessible to all members of the testing staff,” said CEO Brian Le Suer.